Home > Printable Coupons > New York Brand Coupon + Kroger Deal & Marzetti Savings! New York Brand Coupon + Kroger Deal & Marzetti Savings! 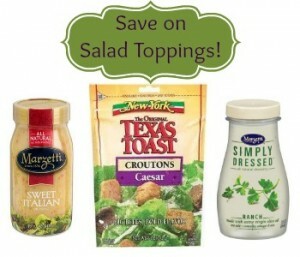 Here’s a New York Brand coupon for Texas Toast croutons! These are on sale right now at Kroger so you can pick them up for cheap after coupon below. Also check out the Marzetti coupons and save on salad dressing too!